COLOGNE, GERMANY – Most people don’t associate Germany with international hip-hop artists, but Ramon Manolo is on a mission to change that perception. Better known by his stage name Rass Limit, this up-and-coming artist from Cologne, Germany wants to let the world know that he has more to offer than basic, same sound music. With stunning melodic layers and edgy vocal hooks, Rass is already capturing the imaginations of people all over the world with his tuneful music. Driven from a young age to create compelling music – even his name nods to that drive as a play on words for the idea of “passing the limits” – Rass Limit has managed to develop a truly inspiring and personal sound. 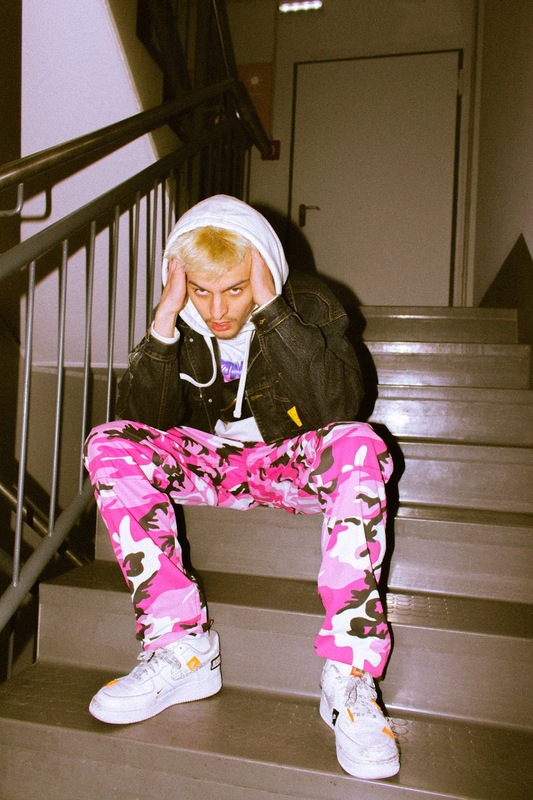 Inspired by artists such as Post Malone, Juice WRLD and Lil Peep, he has created a unique sound and style that is refreshingly unpredictable yet warmly familiar. Most recently he has released the single “Waterfall,” which showcases a smooth, mellow vibe across a timeless hip-hop beat that was produced by RoBeatz & Rass Limit himself. It’s a song That he said was inspired by an experience with an ex-girlfriend who was playing games with him. Going against the norm is a lot of what Rass wants to bring to the world through his music. His sound is separate from anyone else in the game because it comes from his personal experiences and a journey that has seen him deal with and overcome bouts of depression. Along the way he has faced many obstacles that were seemingly impossible to overcome, but he did it and has steadily put together a career that he knows is poised to take a big leap forward. Rass Limit said “Waterfall” is the first single off an upcoming mixtape called “Play,” which he hopes to release by the end of March or possibly mid-April. The project will feature a variety of styles, but mostly stay true to the R&B, rap and Emo lanes he’s trying to explore through his music.